Is my hedge too high? Legally a hedge that is more than 2 metres (6ft 6ins approx) tall is classed as too high, although there are exceptions for hedge heights on slopes. The definition of a hedge is two or more trees or shrubs in a line formed predominantly of evergreens or semi-evergreen ones. The exceptions are Bamboo and ivy. Hedges that get out of control can be a nuisance for you and your neighbours. Hedge cutting is a specialised skill. For expert advice call Keith Archers Tree Care Specialists on 0208 226 4989, we undertake all aspects of hedge maintenance and control. What are tree owner’s responsibilities? The owner of a tree in general is the property owner, or landlord where the property is let – unless the tenancy agreement states otherwise. If a person is injured or property is damaged because a dangerous tree was neglected, the owner could be sued for negligence. 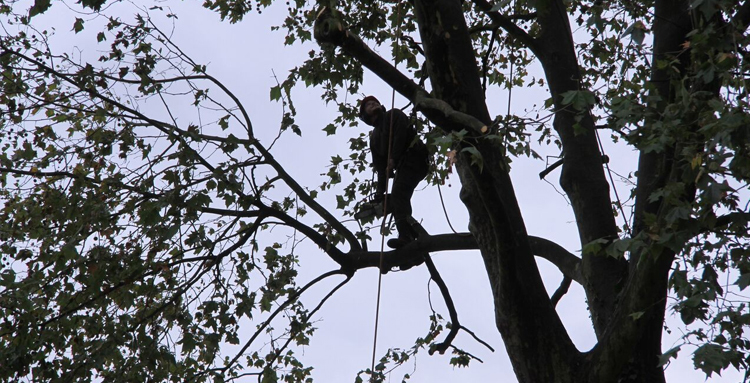 If you are in any doubt about the condition of a tree on your property that you think may be compromised call Keith Archers Tree Care Specialists for expert advice. What constitutes a dangerous tree? My neighbour’s tree is blocking my light, is there anything I can do about it? The law is a bit ambiguous as to how trees affect the right to light. There is no cause for appeal if a tree obscures your view, and conversely the same applies if trees are removed to reveal a building or something you’d rather not see. If your neighbour’s tree is causing an issue, the best advice is to talk to them and look for a solution you can both be happy with. It may be that the tree can be thinned rather than felled to allow more light. Trees that are exempt from TPOs are those that are dead, dying, diseased or dangerous and fruit trees grown for the commercial production of fruit. If you have a TPO on your tree, don’t worry, Keith Archers Tree Care Specialists can deal directly with your local authority regarding the work needed. Who owns the tree on my boundary? If a tree spans two boundaries to find out who owns the tree you need to establish where the boundary line runs. Some property deeds may state if a tree is on your land. If neither of these gives a conclusive answer it’s best to come to an amicable agreement with your neighbour. The alternative is letting a court decide. My neighbours tree is overhanging my garden, what are my rights? It is not the responsibility of the tree owner to prevent a tree from overhanging a neighbouring property. You have the right to cut off overhanging branches without the owner’s permission providing it does not harm the tree. The branches can only be cut back as far as the boundary - you are not permitted to cross the boundary. Any branches you remove, including any fruit, remain the property of the tree owner. You should not consume or dispose without the owner’s permission as this could be classed as theft. Do not throw the branches or fruit back over the fence as you could be prosecuted for fly tipping which has sever penalties. Speak to the owner and find out if they require the branches back. If they do not then it is your responsibility to dispose of them. The same applies to roots, however much more caution is required. If the tree dies as a result of your actions the owner might have a claim.